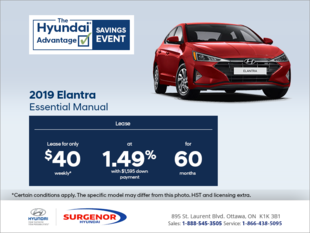 The special offers found at Surgenor Hyundai are designed to make sure you get the vehicle of your dreams at a price that makes you happy. 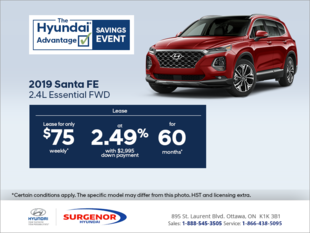 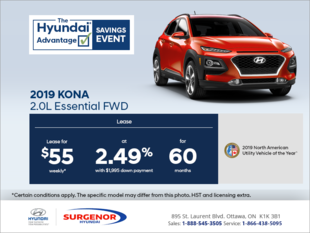 Surgenor Hyundai has special offers, which are updated monthly, that ensure you get the Hyundai you want at the best price. Our special offers are available on the purchase of a new or pre-owned vehicle as well as at our after-sales service departments. 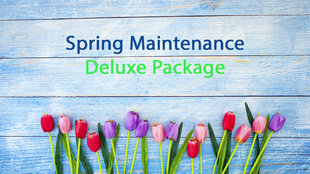 With these special offers, we hope to make your next visit a memorable one. 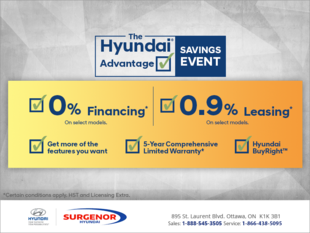 You can easily save money with the numerous offers available on our Hyundai vehicles. 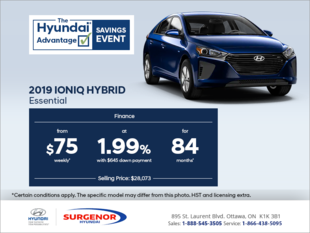 We even offer flexible financing and leasing solutions that feature low interest rates and affordable monthly payments. 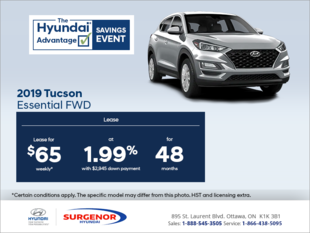 Our special offers can also be applied to certified pre-owned Hyundai vehicles. 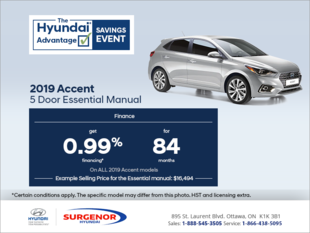 On top of that, we can help you save money when you bring your Hyundai model in for maintenance, detailing, or if you're in need of a genuine Hyundai part or accessory. 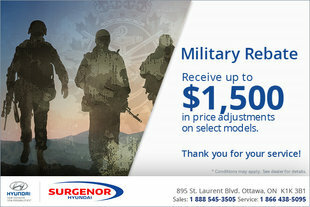 Come into Surgenor Hyundai today and find out how our special offers can help you.